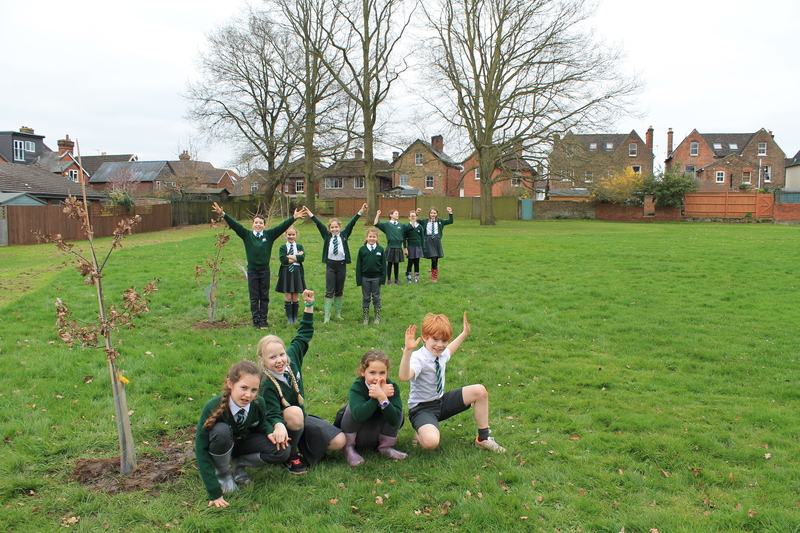 An exciting new collaboration between Godalming Junior School and Roots for the Future had 13 of the school’s Eco Warriors planting trees in their local park. 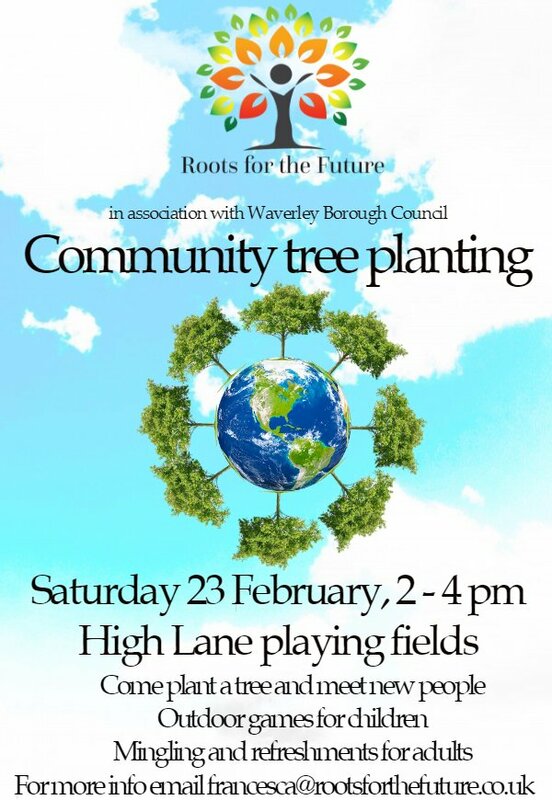 On the first day of spring 13 Eco Warriors, from 8 to 10 years of age, joined us to plant several trees of various species in Canon Bowrings Playing Grounds with the permission of Waverley Borough Council. 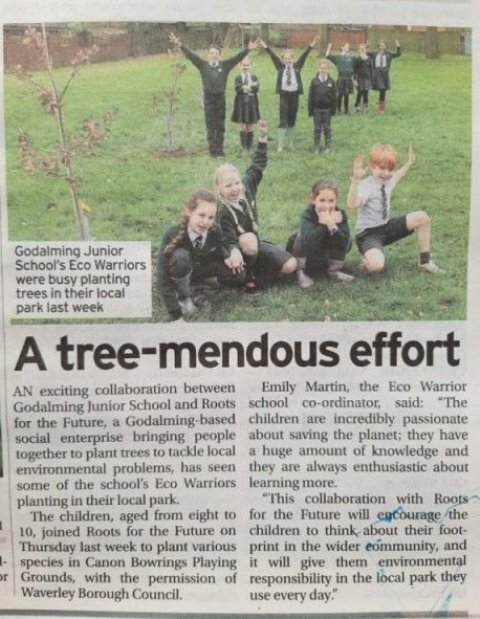 For just under a year now, Godalming Juniors’ team of Eco Warriors has been working hard to help save the planet by being eco-friendly around the school whilst learning about the causes of and solutions to climate change. 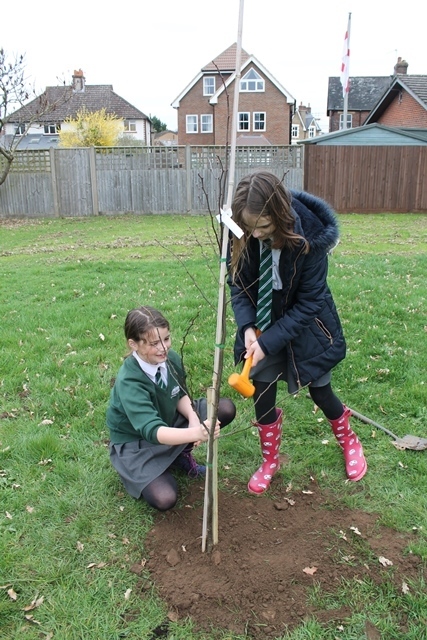 Planting with the Eco Warriors from Godalming Junior is a perfect collaboration. These children are already passionate about the environment and will pass on what they learn through tree planting to their classmates. After exploring the park and the other large trees already there, we got down to planting. 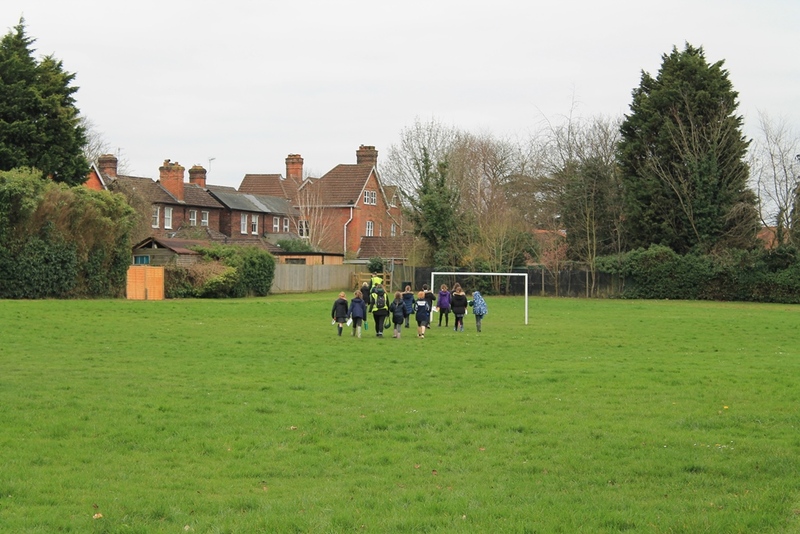 Team work makes the dream work and the children planted in pairs. 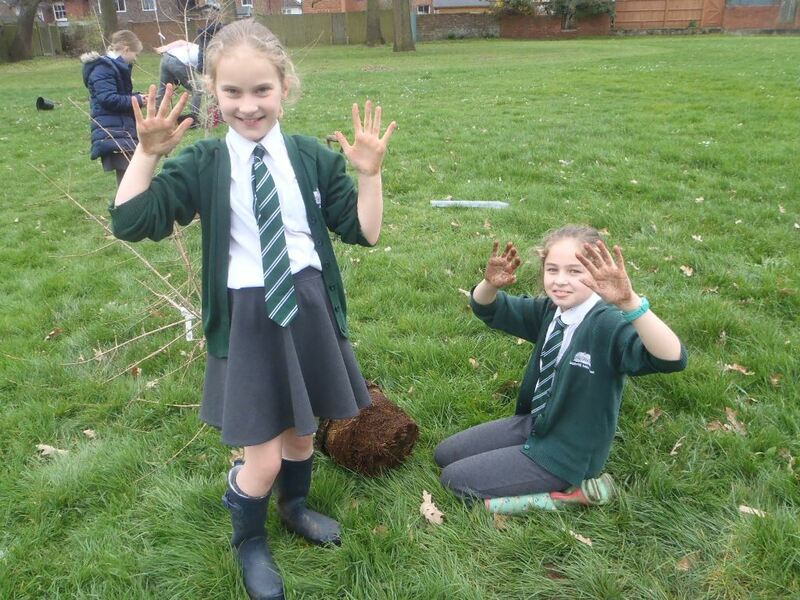 At first the children were a little reluctant to get their hands into the dirt but once they felt how satisfying it is to get stuck in, they really enjoyed it. We had a great conversation about what we can all do in the fight against climate change such as flying less, driving less, taking public transport, eating less meat, switching energy providers to 100% renewable. 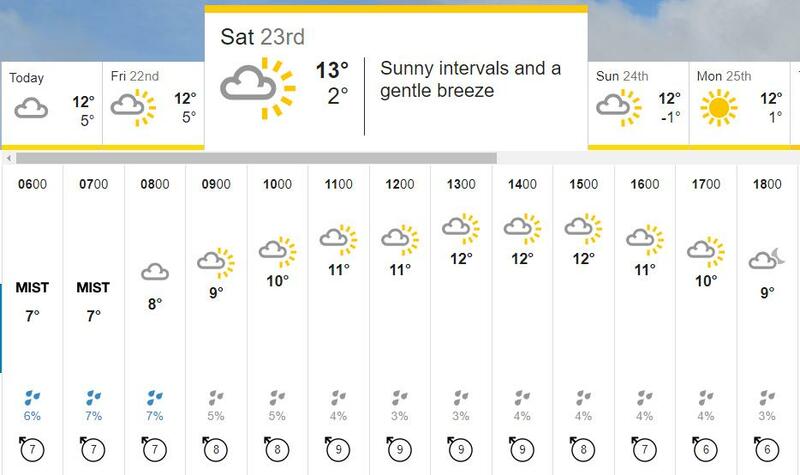 We also talked about Greta Thunberg and how she began a solo protest in Sweden in August and has since inspired students around the globe in more than 100 countries to go on “strike”, demanding the political elite urgently address what they say is a climate emergency. She is the 16-year-old activist who set up the fast-growing School Strikes 4 Climate Action and has been nominated for the nobel peace prize. One day one of the eco warriors might be nominated for a prize for their work saving the planet! It is hard work digging deep holes but truly satisfying once the trees are in. 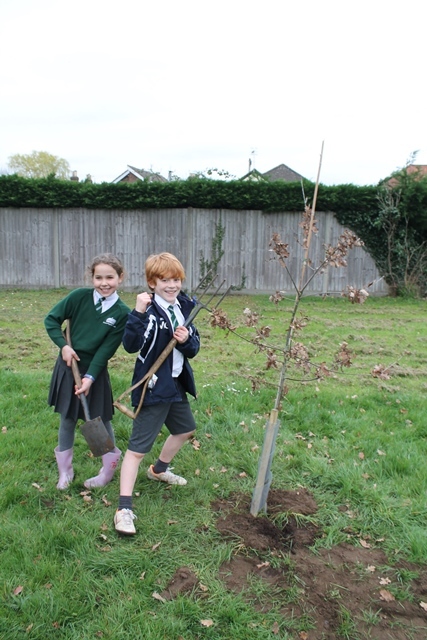 The children planted two oaks, two field maple and two lime trees. 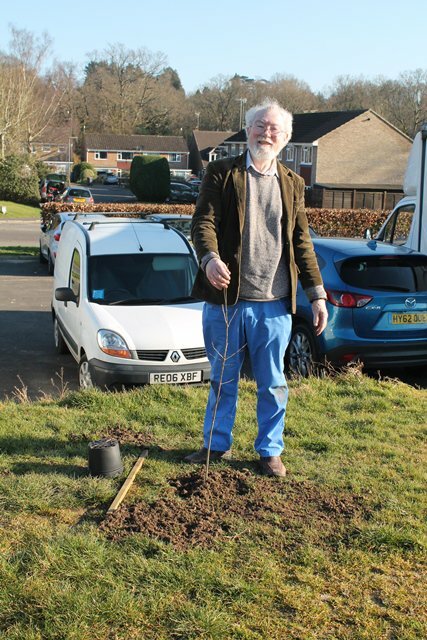 Once all the trees were in they posed for photos for the Surrey Advertiser and made it into the paper. I love how proud they look. 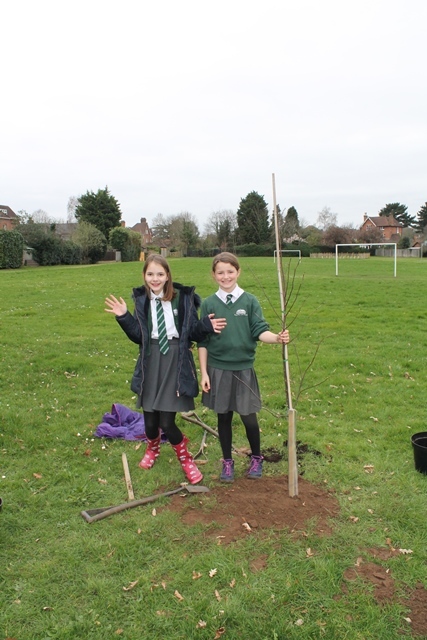 After a satisfying couple of hours planting and sharing their knowledge about climate change, the children went back to school. I am pretty sure they will be back regularly to check on their trees.